After a Thursday dominated by what was a busy trade deadline, 16 teams will take to the court Friday. A number of players will be debuting for their new teams as well as a few returning from injury and rest. These new rotations and allotment of playing time make adding any player very difficult. That being said, there are plenty of potential streaming candidates including Tyler Johnson who was traded to the Suns. He has been listed as the starter for his new team and certainly has the ability to put up standard league value when given the minutes. I will look at all eight games and those players who could possibly be looking at a run in competitive leagues moving forward. Mario Hezonja (47%) – Stream: Hezonja appears to be back as a permanent part of the rotation and has contributed in all five of his previous games. He should be viewed as a streaming option as long as his playing time sticks. Luke Kornet (20%) – Watch: DeAndre Jordan appears likely to remain on the roster for the rest of the season which could severely impact Kornet’s appeal. He was out of the rotation in the last game and his role moving forward is unclear. Owners should still keep an eye on the situation but things certainly don’t look good for Kornet right now. Luke Kennard (26%) – Stream: The Pistons unloaded a number of players across the trade period and Kennard could find himself in a much better position than he was only three days ago. There is a chance he moves into a 30-minute per night role and if that is the case, he should be considered in all competitive leagues. At this stage, hoping for long-term value comes with an element of risk but he should be streamed in nonetheless. Svi Mykhailiuk (13%) – Watch: Mykhailiuk moves to a better situation in Detroit and could end up as a regular part of the rotation. Where he fits exactly remains to be seen and so owners should just monitor his role moving forward. Mason Plumlee (38%) – Stream: Paul Millsap is questionable heading into Friday’s game, leaving Plumlee as a potential streaming option. Plumlee has been very good over the past two games with Millsap out of the lineup and figures to have a similar role should Millsap be ruled out. Trey Lyles (27%) – Drop: Lyles has scored in double-digits in three straight games, capitalizing on the absence of Paul Millsap. His big nights tend to come on unsustainable shooting and offers very little else making him more of a deep league asset. T.J. McConnell (20%) – Stream: McConnell should see the bulk of the backup minutes after Landry Shamet was traded Tuesday. His scoring has fallen away of late but he continues to produce assists and steals and fits a need if that is what you are after. Jonah Bolden (11%) – Watch: Bolden could see an increase in playing time after Wilson Chandler and Mike Muscala were both traded in the Tobias Harris deal. 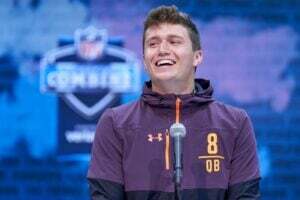 He is not worth picking up until we see how he fits into the rotation, but the upside is certainly there if owners in deep leagues want to take a flier. Ante Zizic (41%) – Stream: Zizic is worth looking at if you need rebounds and points, however, Kevin Love’s return is imminent which could severely impact Zizic’s fantasy appeal. Brandon Knight (13%) – Watch: Knight has been disappointing this season and there is no reason to think that will change here. However, owners could just watch how things play out given the Cavaliers have nothing to play for. David Nwaba (12%) – Watch: Nwaba was in the starting lineup Tuesday but failed to come through for anyone who picked him up. His exact role remains unclear and was made even murkier with the Cavaliers making a couple of moves during the trade period. Thomas Bryant (49%) – Stream: Bryant put up a double-double in his last game but had been struggling prior to that. Bobby Portis was added to the Wizards roster in a trade that saw Markieff Morris moved to New Orleans. It is unclear whether Bryant or Portis will start at the center position, however, Bryant is worth picking up in case he can keep producing as he did Wednesday. DeMarre Carroll (47%) – Stream: Carroll turned in a vintage performance Wednesday, ending the game with 18 points, 10 rebounds, six assists, and four steals. He has been solid over the past few weeks, however, Allen Crabbe returned last game and Caris LeVert will be back in the lineup Friday. Owners could give him one more look to see if he can maintain this form despite potentially fewer minutes. Shabazz Napier (42%) – Stream: Napier continues to fill in for Spencer Dinwiddie and has produced steady enough numbers. With Allen Crabbe and Caris LeVert back in the lineup, Napier could find himself on the court a little less. He is still worth streaming in until Crabbe and LeVert are back to full speed. Wayne Selden Jr. (13%) – Watch: Selden’s playing time fell to just 20 minutes Wednesday, ending with just six points. Both he and Timothe Luwawu-Cabarrot racked up five fouls each and so getting a read on their exact roles is difficult. Timothe Luwawu-Cabarrot (5%) – Watch: Luwawu-Cabarrot scored nine points in his Bulls debut, playing 19 minutes. It is unclear how the Bulls are going to run their backcourt rotation, limiting the upside of a number of players. At this stage, it is tough to roster any of the fringe players until such time as we work out how they fit together. Ersan Ilyasova (19%) – Drop: The Bucks acquired Nikola Mirotic prior to Thursday’s trade deadline and that could result in Ilyasova losing a tonne of minutes. Dwight Powell (36%) – Stream: Harrison Barnes was traded to the Kings leaving an opening in the starting unit. There is a chance Luka Doncic slides up to the power forward position with Jalen Brunson slotting in as the starting point guard. Nonetheless, Powell should find himself with a significant role moving forward, making him worth a look as a streaming option. Maxi Kleber (30%) – Stream: Much like Dwight Powell, Kleber is almost certainly going to be playing a much larger role than he had been. Both he and Powell are worth streaming in until it becomes clearer as to who the primary beneficiary is going to be. Jalen Brunson (16%) – Stream: Brunson has played at least 30 minutes in three straight games and appears to have secured the starting point guard spot. He doesn’t have the highest upside but should still come into consideration if you need assists and steals. Kevon Looney (34%) – Stream: Looney failed to record a defensive stat in his last game but had been consistent in that area leading in. He has the ability to accumulate both steals and blocks while chipping in with rebounds despite his bench role. 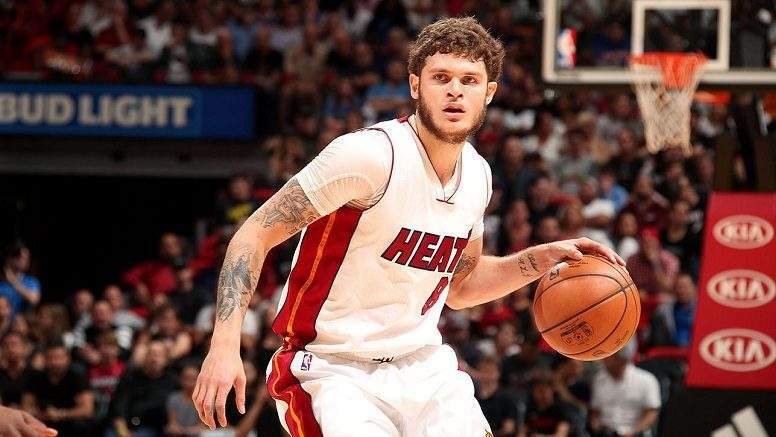 Tyler Johnson (39%) – Stream: Johnson will be the starting point guard when he debuts for the Suns on Friday. He has the ability to be a top-100 player when afforded the playing time and this is a nice opportunity. Devin Booker is questionable heading into the game and if he is indeed ruled out, Johnson would handle even more of the offensive load. Elie Okobo (23%) – Drop: Tyler Johnson is moving into the starting lineup Friday, likely relegating Okobo to a backup role. Okobo had been far from impressive during his stint as the starter and owners can safely move on. Jerryd Bayless (32%) – Watch: Bayless injured his toe Thursday, playing just 27 minutes in the loss. There is a chance Jeff Teague returns Friday and Bayless may not be able to take the court. Teague’s return will likely end the run of standard league relevance for Bayless whether he plays or not. Josh Okogie (19%) – Watch: Okogie dropped 13 points Thursday, his second straight game with double-digits. He is still a working progress for the Timberwolves and despite the playing time, is not yet a factor in competitive leagues. Kenrich Williams (32%) – Watch: Williams finished with 12 points and seven rebounds Wednesday, remaining on the floor for 36 minutes. While his production has been relatively consistent over the past week, it appears as though Anthony Davis is going to return to the lineup. Julius Randle also returned in the last game and Cheick Diallo has been playing well. Owners should keep an eye on Williams although it appears his run could be coming to an end. Darius Miller (20%) – Stream: Miller continues to drill three-pointers while playing big minutes, filling in for the injured E’Twaun Moore. As long as Moore and Elfrid Payton are out, Miller should be viewed as a solid perimeter streamer. Frank Jackson (15%) – Watch: Of all the Pelicans players to receive a boost over the past two weeks, Jackson has certainly been the least convincing. Cheick Diallo (15%) – Watch: Diallo had 18 points and nine rebounds Wednesday, continuing to trend in the right direction. Unfortunately for Diallo, Julius Randle is back and Anthony Davis appears as though he is going to return shortly. This could signal the end for Diallo in anything but deeper formats. Rodney McGruder (26%) – Watch: McGruder will likely re-enter the rotation Friday after Tyler Johnson and Wayne Ellington were traded. McGruder had a stretch of standard league relevance earlier in the season and perhaps this is the boost he needs to get back to that form. Dion Waiters (21%) – Stream: Both Tyler Johnson and Wayne Ellington were traded prior to Thursday’s deadline leaving plenty of minutes available for Waiters. Owners could take a flier on him to see if he can take advantage of the likely increase in playing time. Alec Burks (37%) – Watch: Burks was traded to Sacramento, and figures to slot into a backup guard role. Bogdan Bogdanovic appears the most likely to slot into the starting spot vacated by Iman Shumpert leaving Burks to soak up the secondary minutes. Chances are he will play fewer minutes when compared to what he had been seeing in Cleveland. Harry Giles (30%) – Watch: Giles continues to improve on a nightly basis and is certainly closing the gap on Willie Cauley-Stein. His role is not consistent enough to warrant standard league consideration, however, owners should monitor him going forward, especially if Cauley-Stein cannot pick things up.